Our retail & manufacturing opticians business was established in 1978. In 1984 the company commenced manufacturing plastic frames, initially using outside contractors but later in 1988 setting up its own spectacle frame making factory. During the early years of this factory, finished frames and sunglasses were sold wholesale to other opticians as well as through our own outlets. However, in mid 90s sales to other optical outlets were stopped and from this time onwards the product became exclusive to Opera Opera. All eyewear is stamped with ‘Harpers’ or ‘acid’ being the two registered trademarks owned by the company. 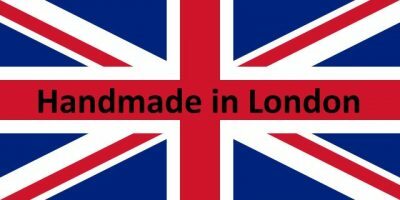 Over the last 20 years British spectacle frame manufacturing has ‘died’ and there are now just a few of us who might genuinely be able to stamp their finished products with ‘Made in England’. There are historical reasons for the demise of British frame manufacturing. Post-war labour Government introduced the NHS frame range that was subsidised using taxes and nearly all manufaturers relied on these subsidies without having to compete in the international arena. These frames had no export market at the time. In the early 1980s, Mrs Thatcher’s Conservative Government got rid of the NHS frame range and de-regulated the Opticians’ trade. Later in the same decade designer eyewear from Europe entered the British market. The few surviving companies could not in any way take on Luxottica and ‘Armani’. At the same time there came a huge worldwide downturn in acetate frames and this was the ‘final nail in the coffin’. Anglo American Eyewear, Cambridge Optical and Paul Green Eyewear have long ceased as manufacturing enterprises. On the other hand, over the same period many very English sounding names have appeared on the display stands of nearly all our optical retailers. The same ‘English’ brands are also sold using PR and hype to unsuspecting Europeans, Japanese and the Americans giving the impression that the product has been made in England. All this makes our manufacturing business more determined to face up to the challenge and this is particularly so in view of the the recent decline in spectacle making companies of France and Italy. As is the case of many other finished goods, China has taken over and is able to produce quality frames and sunglasses at very low costs. However, our interest in traditional eyewear design and manufacture, in addition to our experience in the art of making classic frames places us in a proud position to face the very fast changing world optical scene. Furthermore being a retailer helps our manufacturing side as we know what the eyewear wearer is demanding. Apart from what we carry as vintage eyewear that comprises of all the usual big brands; on the retail side, other than our own manufactured eyewear we also stock European spectacle frames and sunglasses that have mainly been produced by small family owned design and manufacturing companies based in France, Italy and Germany. Most of these companies have been known to us for 25 years or so and their endurance is proof small is beautiful.